Celebrate Scotland’s most famous poet, Robert Burns! 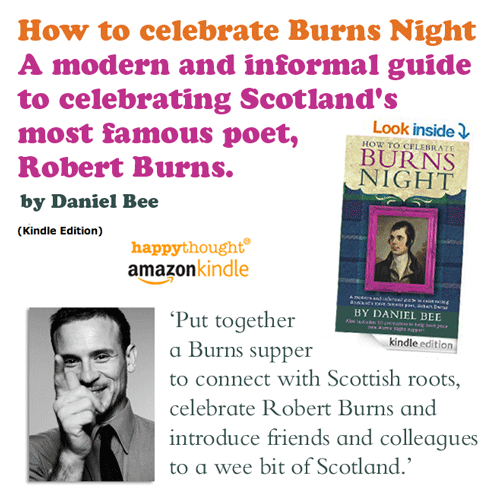 Our great friend and fellow Scot Daniel Bee has come up with this quick guide to hosting a modern, fun and relaxed Burns Night supper. Daniel has been hosting a legendary Burns Night supper for 20 years now, in locations as diverse as Edinburgh, London, Los Angeles & Marrakech, so who better to talk you through your own Burns Night get-together? This fun and concise guide is packed full of useful information and advice. 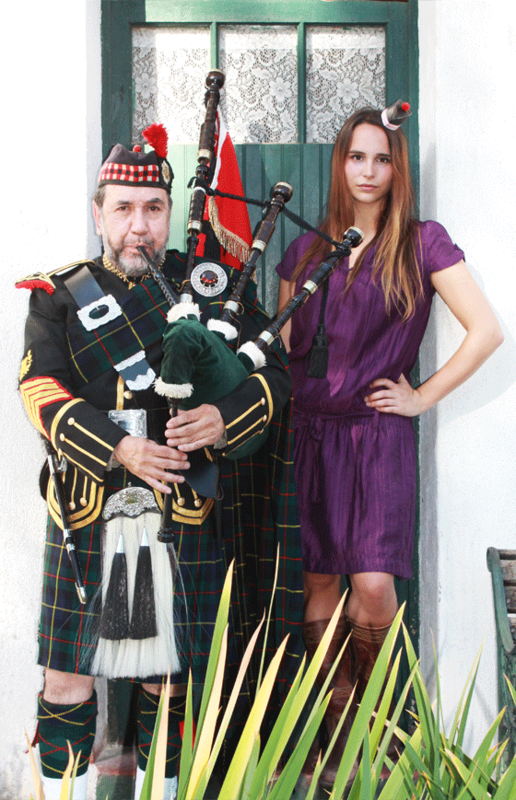 A suggested order of events, poems and song lyrics, menu ideas and even tips on how to cook the haggis. 220 years of Robert Burns celebrations! Once the excesses of Hogmanay and NewYear’s Day have passed, late January belongs to a Scottish poet and songwriter, Robert Burns, who was born in 1759 and has shaped the world we know today. 2016 marks 220 years since Robert Burns died so we need a party! 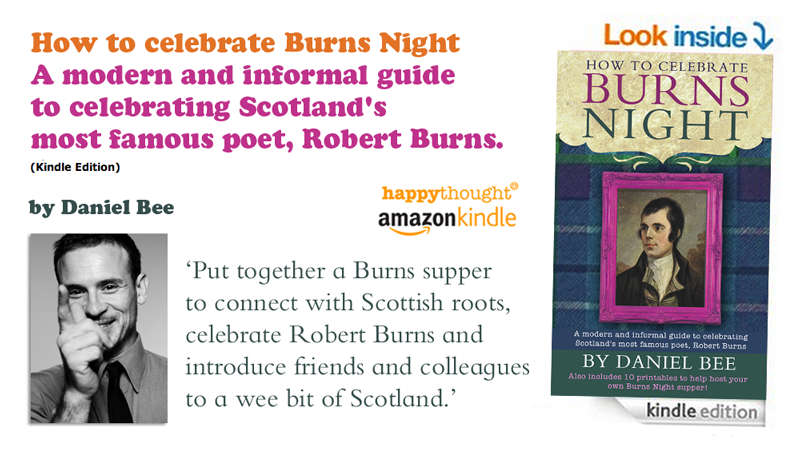 This Burns Night celebration ebook is available to download from Amazon. We love special occasions and festivies here at Happythought. We have put together a top 5 of some of our favorite ideas, templates and activities. We hope you enjoyed How to celebrate Burns Night! If so, please give us a little love; by liking us on facebook, pinning us on pinterest or following us on twitter. Thank you!